What’s behind the Rise in New York City Homelessness? Why are there 23 percent more homeless living on the streets of New York City this year compared to last year? 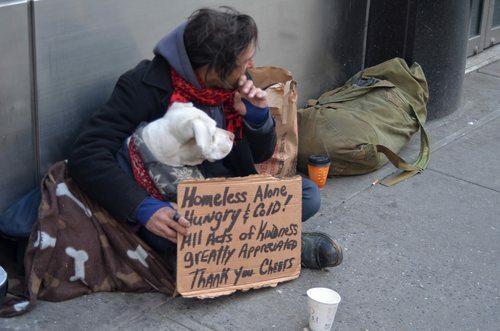 The count by the New York City Department of Homeless Services says that there were 3,262 people living on the streets as of January 30th. That doesn’t mean, however, that there were only 3,262 homeless in the city. Thousands clearly live in shelters or temporary housing. Even the “living on the street” count is all but assuredly an undercount, according to the Coalition for the Homeless. Ultimately, the solution is to find permanent supportive housing for the homeless, a strategy called “housing first” that has been validated by the experience of cities across the country and largely adopted by the Department of Housing and Urban Development as the nation’s preferred homeless housing strategy. It is an approach that the Corporation for Supportive Housing (CSH) and other national housing intermediaries have been implementing with great results, in some cases with support from foundations, several of which are members of the foundation “affinity group” Funders Together to End Homelessness.